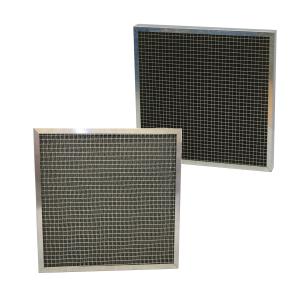 The Carbon Impregnated version of this filter is designed to adsorb low concentrations of odours, or gases associated with pollution. Generally these filters are used on supply ventilation systems into offices and public buildings. Airclean do not recommend these filters in new installs. Please see the Airclean Indoor Air Quality Filtration System as a suitable alternative. The filter contains up to 12m² of carbon impregnated filter media in the form of eight individual slabs of mini pleated media with hot melt separators. In addition to the media the filter contains extruded polypropylene separators which give a unique V configuration, these are all encased in a plastic header frame. 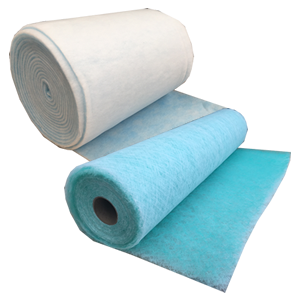 Carbon Impregnated Bag Filters can be supplied to fit existing bag filter installations.